Today I'm sharing my unboxing of a new subscription box I'm trying called Japan Crate! Bryan and I figured we'd try one month and see how we liked it. 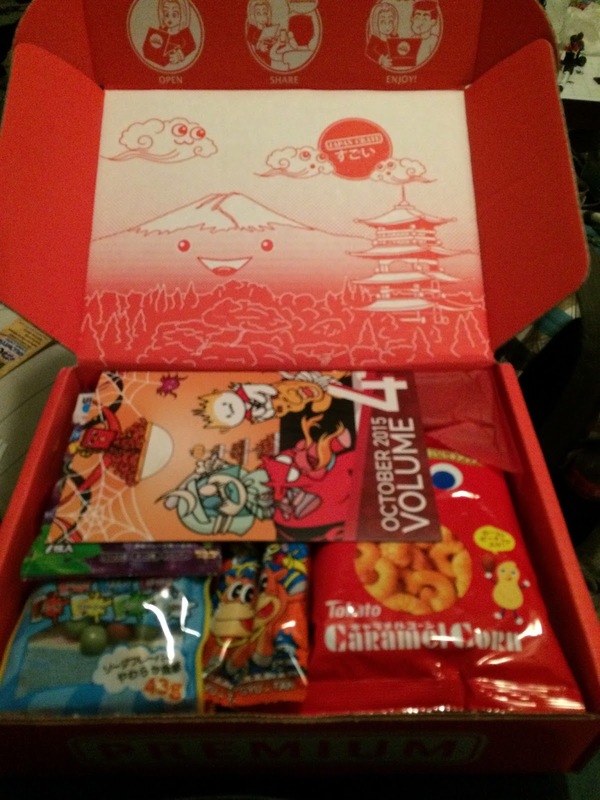 They send out a mini, original, or premium sized box of Japanese snack to your door each month. Ready for the delicious results? Inside treats are tightly packed! 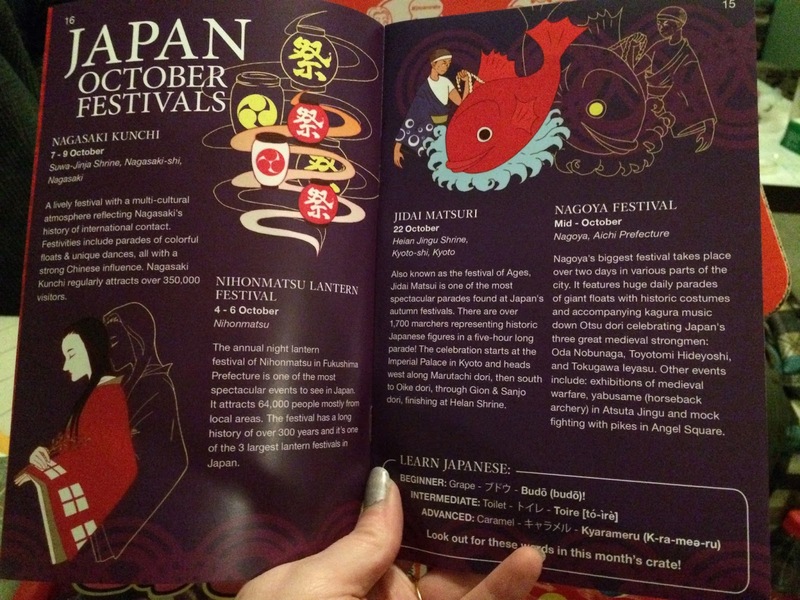 There's also a booklet with information on Japanese culture, a manga (not going to spoil the storyline by putting it in here, but it's really cute! 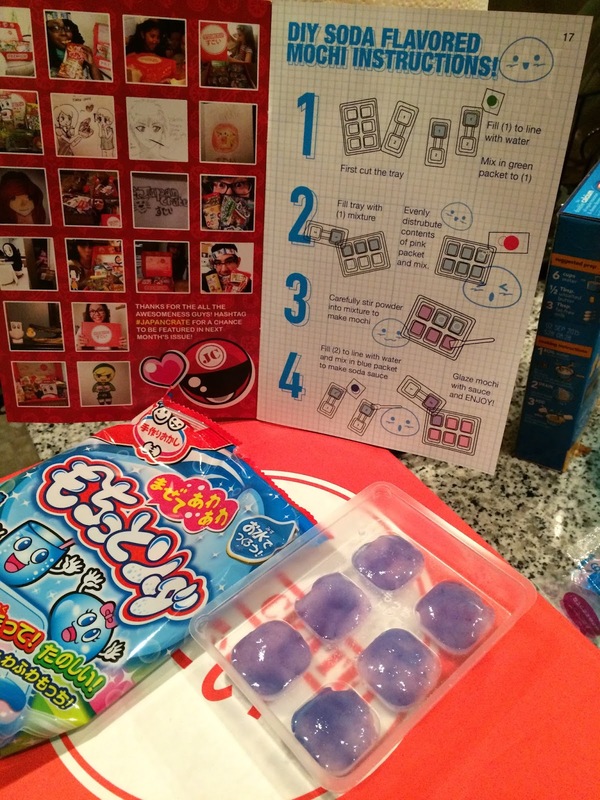 ), and guide to the contents of the box. 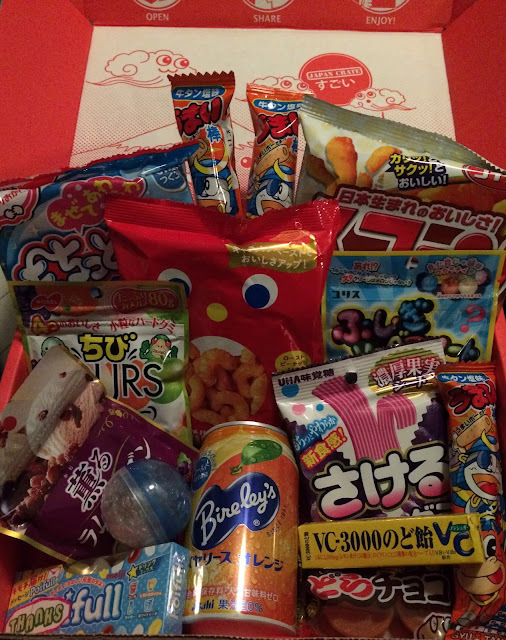 Here are all the snacks, so you can get an idea of what's in the premium box. It's a ton! 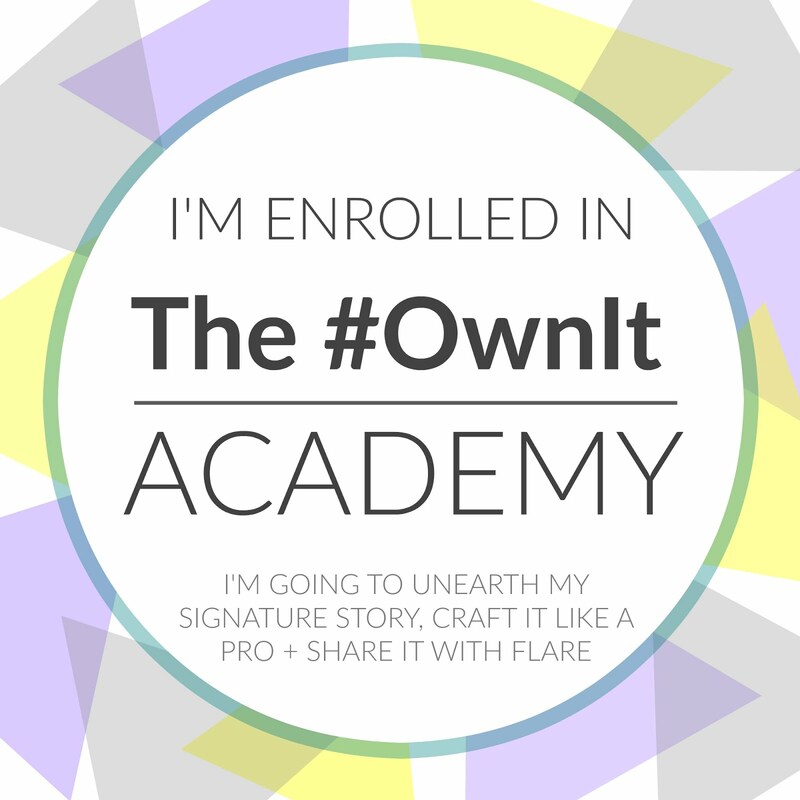 Bryan and I would share an item or two each night and we rushed it a little because I was so excited about writing it and finished in about a week. If you're single or not sharing it might last a lot longer! 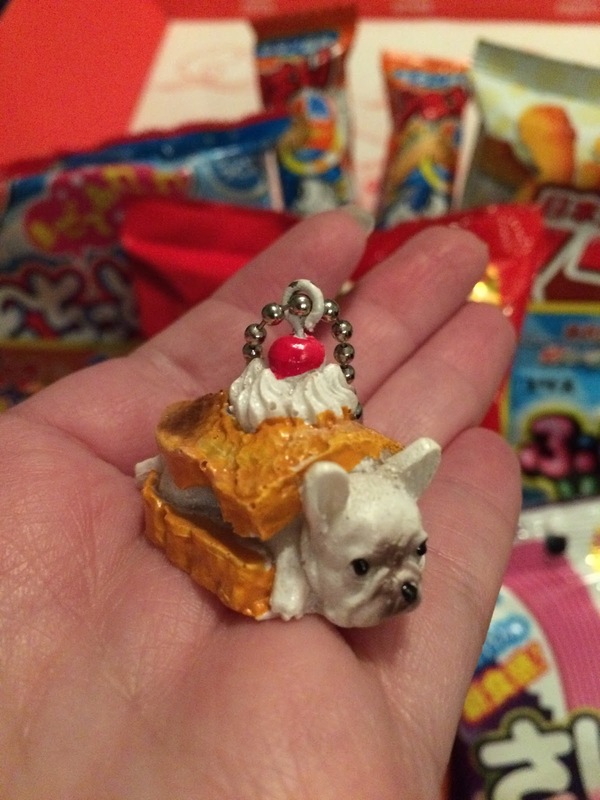 There was also another cute item in its own little ball, an adorable "Food Dog Gashapon" This little Boston Terrier looks like he's stuck inside some French toast! And the example pup in the guide was a Jack Russell inside a sandwich. Rum Raisin Soft Candy - Again this was an item included in all three box sizes. 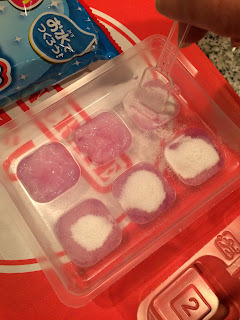 These candies were creamy and surprisingly good in flavor. They reminded us a little of Mentos when it came to the texture. We really liked them, and want to try more. Grape Gummy Ribbon - These were included in the original and premium crates. 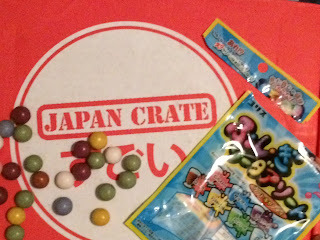 Inside the bag are the individually wrapped candies that can be pulled apart, though we didn't bother trying. 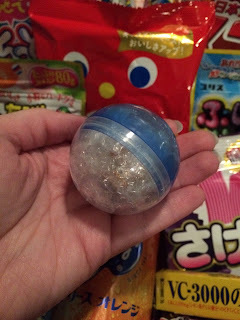 They have a less gummy feel, and kind of felt like gum, but instead of staying solid as you chewed it broke down some, so you won't mistake it for gum. I really liked the grape flavor, but found the texture a little weird. Poifull Soda Beans - These were in the original and premium crates. They're jelly beans in Japanese soda flavors including cola, ramune, lemon squash, and cider. The flavors were pretty good and even had a bit of fizz to them. Chitto Soda DIY - This little kit allowed you to make your own ramune soda flavored mochi. 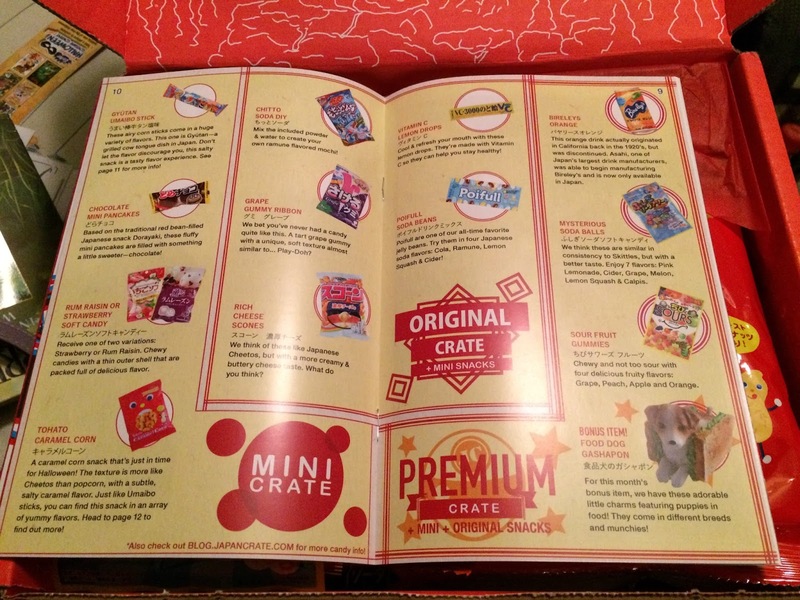 It was included in the original and premium boxes. In the end you get a creation that's a cross between gummy candy and jello, which Bryan was less a fan of because he doesn't care for jello much. 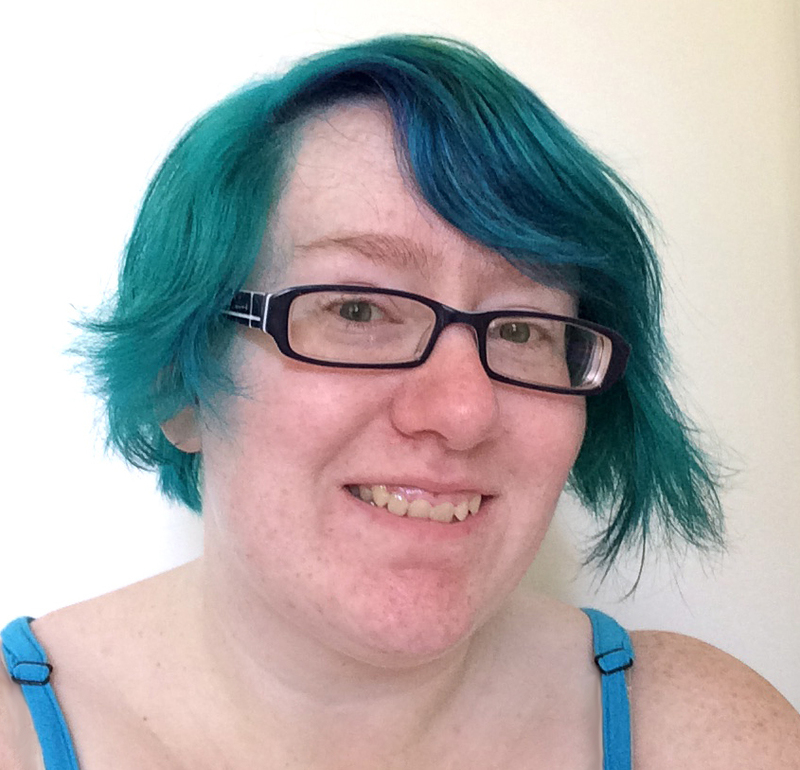 It was fun to make, though at first I was a little nervous that I might mess it up. 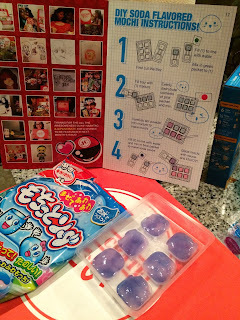 I really liked the main pink part, but the blue glaze applied at the end was just ok. I loved the flavor though! There a couple more pictures below, with the finished version in the second shot. Sour Fruit Gummies - These gummies were only in the premium box. 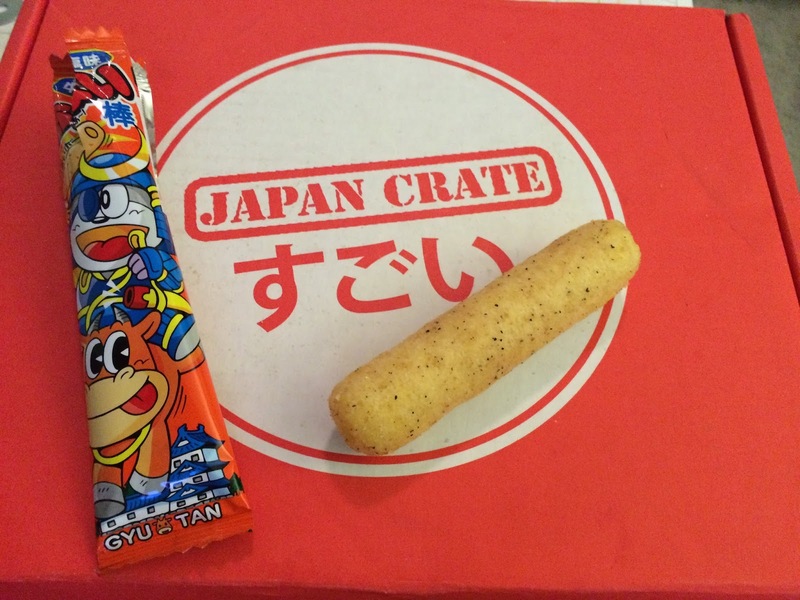 The flavor of these was good, but pretty typical, grape, peach, apple and orange. I thought they were a little too chewy, but Bryan really enjoyed them. They weren't very sour, just a little. 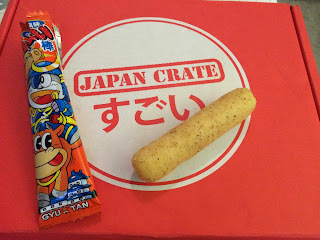 Gyutan Umaibo Stick - We got three of these corn sticks in our box, and they came in all the box sizes. They're cow tongue flavored, which Bryan immediately thought was gross. I was more openminded about them because I has some delicious cow tongue tacos while in Mexico a couple years ago because my friend Michael told me had tongue normally back in Australia where he was from and I'd like it. I did, but this version not so much. Bryan and I both thought they were overly spiced and Funyun like. The smell seemed really strong to me, and it tended to linger. 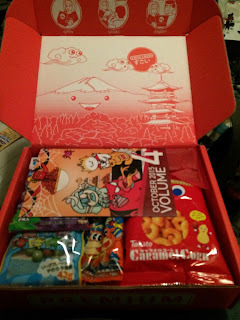 Tohato Caramel Corn - These snacks were in all three box sizes. They also had a texture like Cheetos, but a good caramel popcorn like flavor that was free of hulls. They were supposed to be a peanut version, but there were only 5 actual nuts in our bag. I enjoyed the flavor and so did Bryan, though again the texture was less to his liking. 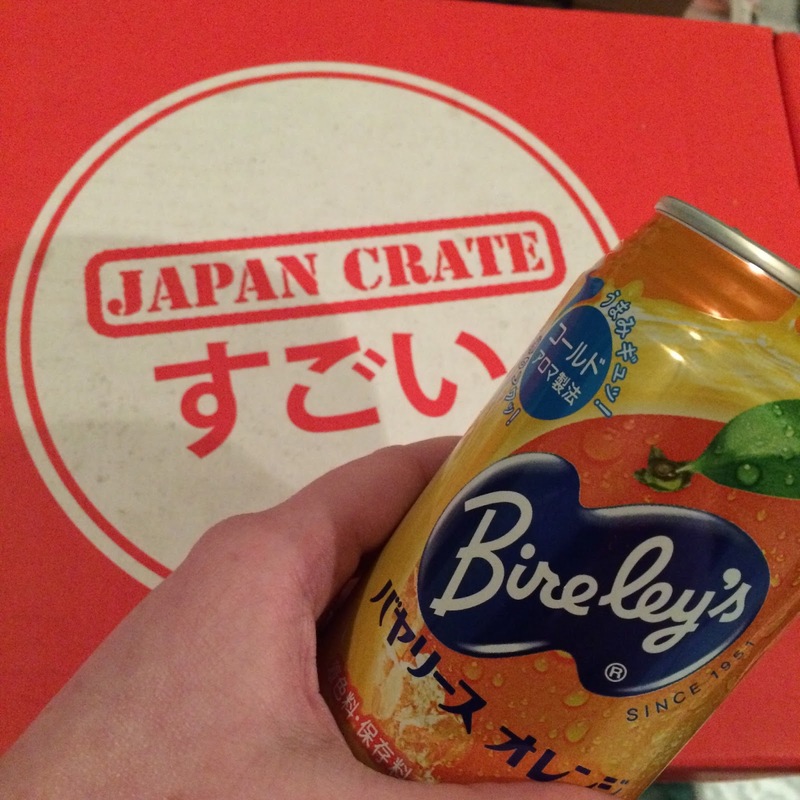 Bireley's Orange - Only the premium box includes a beverage, and this orange drink is what I got. 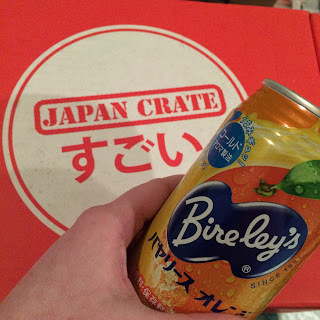 Bireley's was originally an American brand but took off when brought to Japan, and that's now the only place you can find it! I really enjoyed this, it had a true orange juice flavor, but was less acidic and a little less intense. It's not carbonated at all. Bryan is less a fan of orange juice, hence his rating. 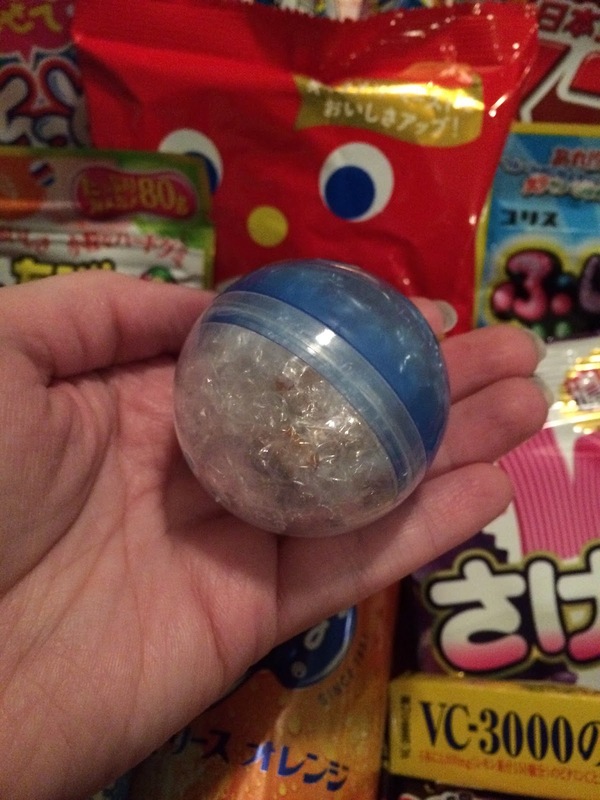 Mysterious Soda Balls - This was another premium only item. They felt like Skittles in terms of texture, but came in soda flavors - cola, pink lemonade, cider, grape, melon, lemon squash, and Calpis. (Calpis is a milky, uncarbonated beverage that has a touch os acidic tang, a little like yogurt) I thought some of the flavors were good and didn't like others as well. My favorites with the Calpis, melon, pink lemonade, and lemon squash. Vitamin C Lemon Drops - At first I thought I might like these, Bryan had figured he probably wouldn't because he's not very fond of citrus flavors. However, I noted on the label that there's no actual sugar in them, just aspartame, which I tend to be sensitive to. When we tried them they had a touch of menthol like buzz, but I found the aspartame overwhelming. Bryan said he might have liked them in another flavor. Overall I was really happy with this box, and would like to keep getting it. Though we're on a tight budget right now, so it might be cut for a little while. 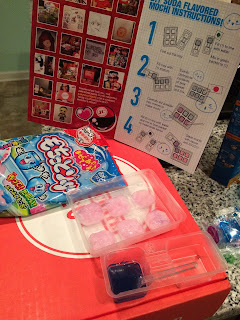 Hope you liked this review, and if you know of a subscription box you think I'd like or you'd like to see me review let me know in the comments below! 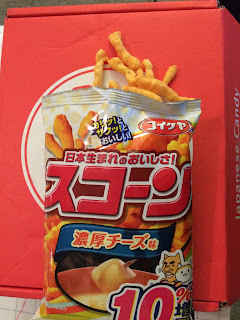 Haha yeah, the umaibo was the worst, I think I'm afraid to try other flavors now. The rest was indeed pretty great though! Looks like a fun adventure! I wont' be eating my Umaibo because they are "cow" even worse..."cow tongue" flavored. I am vegetarian. I got a munch pack the other day and it had another Umaibo in it, it was "salad dressing" flavor..which was weird, I ate it. It wasn't bad. I'd eat the salad dressing one again. 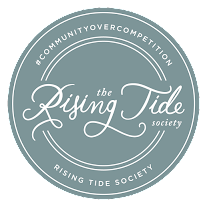 Thred Up VS Poshmark + A Julep Giveaway!